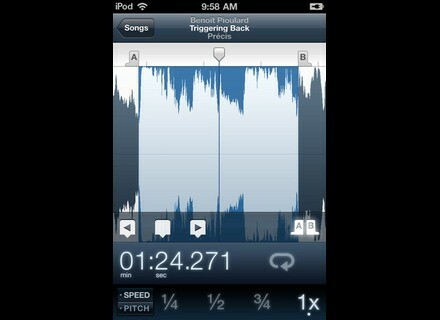 Capo App, Other software for iPhone / iPod Touch / iPad from SuperMegaUltraGroovy. SuperMegaUltraGroovy is celebrating their 2011 Apple Design Award by offering a 20% discount on all purchases made from June 15 through June 30, 2011. The award was given to SuperMegaUltraGroovy at a ceremony held during the 2011 Apple World Wide Developer Conference (WWDC) held earlier this month in San Francisco. Capo won in the Mac Developer Showcase category. Available in a desktop version for Mac OS 10.6 as well as a mobile version for iPad, a 32GB 3rd-generation iPod touch, iPhone 3GS, iPhone 4, or 4th-generation iPod touch with iOS 4.0 or later, Capo is a tool designed to help users learn to perform their favorite music using the original recording. Capo makes it possible to adjust the speed of a song to learn it at individual comfort levels as well as pitch to learn songs in the key of a particular instrument. It can detect chords in real-time without pre-analysis, can create a loop to practice difficult passages and can save markers, loops, pitch and speed settings so musicians can work on a song over multiple sessions. Capo for Mac is available for $40, 20% off the MSRP of $49 through June 30, 2011. 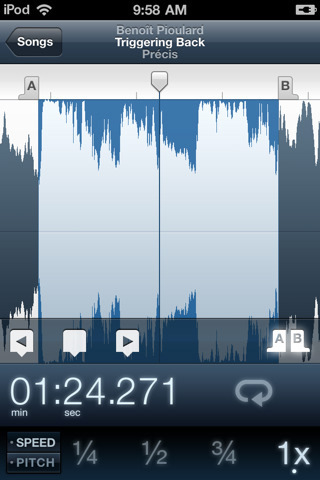 Capo 2.1 for iOS is available for $16, 20% off the MSRP of $20 through June 30, 2011. For complete product details, a free trial and ordering information, visit capoapp.com. ReValver HPse Now Included with Shreddage Impact Soundworks has announced a partnership with Peavey Electronics to bundle a custom version of Peavey’s award-winning ReValver amp sim plugin with the Shreddage sample library. One Small Clue Preston Gate One Small Clue launches the Beta version Beta of its new VST plug-in for Windows, Preston Gate. Loopmasters DubFX - Vocal Beats, Bass & FX Vol. 1 Vocal Beats, Bass & FX vol1 from Dub FX weighs in at 620MB, and includes 325 24Bit samples, including 169 loops from 75 – 180 Bpm, and 156 One Shot samples.